When Irwin lacks the courage to ask Mandy to go with him to the Valentine's Day school dance, he tells Nergal Jr. to do it for him. Then, Mandy mistakes Junior's invitation for his own, and surprisingly accepts to go with him, which naturally makes Irwin jealous. Then, with the ill advice received from his father, to be possessive with Mandy, at the dance Junior becomes overprotective of her, that eventually he and Irwin start fighting, throwing punch at each other and ruining the ball. In the end, it is revealed that this was Mandy's true intention all along so that no one could enjoy Valentine's Day. 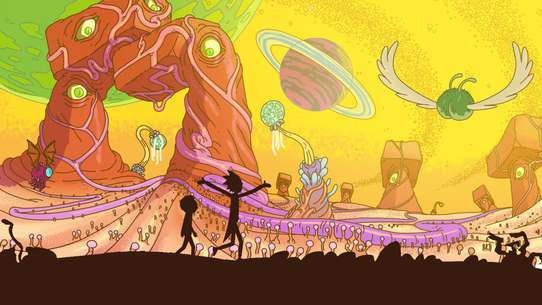 In this musical episode, which pays homage to Little Shop of Horrors, Billy befriends a brain-eating meteor that falls from the sky. With Billy's help, the creature grows bigger and eventually eats the brains of all people in Endsville (turning them into zombies with glowing green eyes). 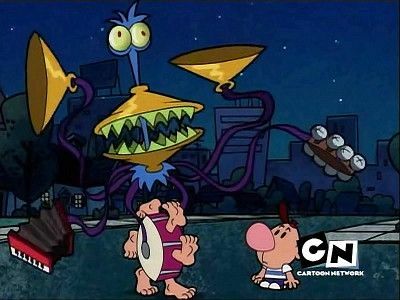 The last brain he eats is Mandy's, which results in the creature transforming into a brain-eating Mandy. 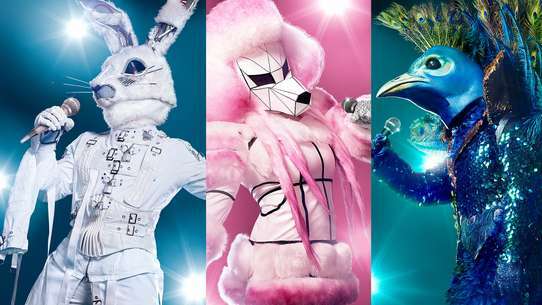 The song featured is BRAINS!, composed by goth artist Voltaire specifically for this episode. #3 - Here Thar Be Dwarves! As Billy walks into the woods to have a picnic, Yogi and a giant, feral version of Boo-Boo (from The Yogi Bear Show) come to steal his basket, and he escapes by hiding in a cave. 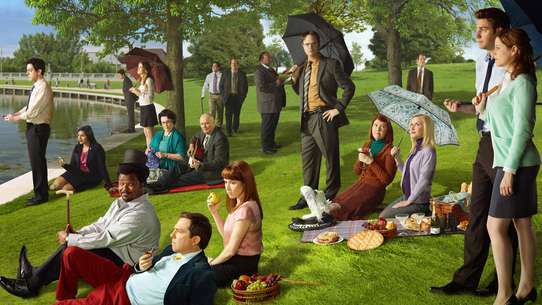 Then, Billy is taken to the mushroom lair of the dwarves where King Beardbottom tells him the story on how the different races split the food-services industry,after the conference of Rivendell after the The Cold War,in which Ronald Reagan allows each race to chose which food to make (The meeting is a parody from the Lord of the Rings. )Then, the king sends Billy to infiltrate the elves' cookie factory to deactivate their force field, so the dwarves can assault the factory. Finally, after a fierce battle (censored out "for younger viewers", by a single clip of a pink koala continuously licking a eucalyptus leaf) and Billy's words, the elves and dwarves decide to work together and split the profits. 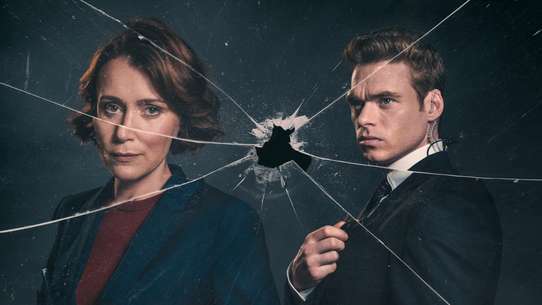 #4 - Who Killed Who? After excluding Mandy from their board game Who Killed Who? for being a girl, Billy and Irwin mistakenly throw their dice into the backyard of a haunted house. Grim warns them about the ghost of Mrs. Doolin, a lady that lived there. Mandy dares to go inside to retrieve the dice, and she befriends Mrs. Doolin, who is alive and well, and who says that all the stories told about her (that anything that went beyond her fence into her garden never came back) are inventions from Grim, whom she beat long time ago at a staring contest. Fearing for Mandy's life, Billy also ventures into the house, but Mrs. Doolin and Mandy scare him away by posing as ghosts. However, it appears that Mrs. Doolin is in fact a ghost, and when she meant "beating Grim", it meant that she "beaten death". As General Skarr has trouble finding a job, the recruiter tells him to attend anger management classes if he wants to work again. Then, Skarr finds out Mandy and Grim are attending too, Mandy for staring at the school monitor, and Grim for enjoying too much his job. The instructor of the class, Larry, turns out to be a peace-loving, short man riding a tricycle, who teaches the trio ways to calm down when angered, including counting to ten, and using harmless weapons to let go of their anger. 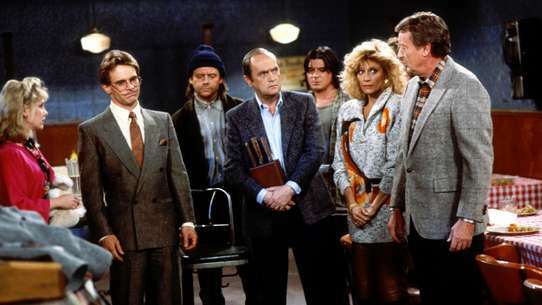 In the end, Larry invites Billy to the class, and Mandy, Grim, and Skarr all manage to contain themselves; however, Larry himself suffers an episode of rage over a parking space and he is arrested. After Grim has a nice dream, a nightmare escapes the back of his head in the shape of a supernatural, invisible duck that makes farting noises. Then, the duck follows Grim everywhere, causing him embarrassment with the non-existent farts, and to end up in jail. Then, the duck repeats the strategy, following other citizens, including Irwin and Billy's dad, resulting in all of them going to jail too. Finally, the duck tries to annoy Mandy, but she remains imperturbable by its presence, and eventually the duck disappears and Principal Goodvibes is really super angry to give mandy 75 days of detention. When Mandy finds Billy playing with Grim's gigantic dog, Cerberus, she tells Grim to keep Billy under tight control because she needs a good night of sleep to be ready for the next day's test. Then, with a little persuasion from his own dad, Billy tries to wake up Mandy at night, so she will fail the test and he can score higher than her for the first time. 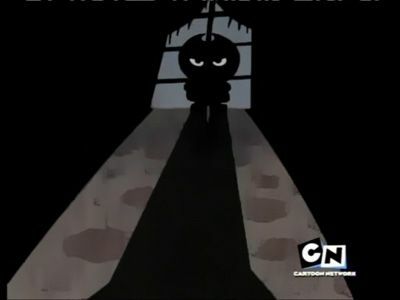 After Grim spends the night guarding Mandy's house from Billy, the latter apparently succeeds in waking up Mandy. However, it is revealed that this Mandy is in fact Irwin, used as a decoy by the real Mandy, who slept in her dog's house. In the end, Mandy passes the test, and Grim is punished for not guarding her properly. 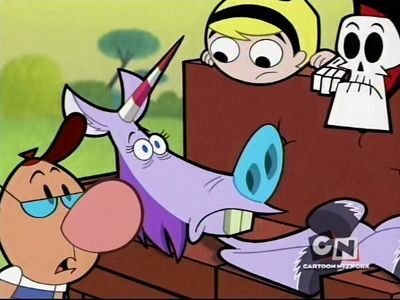 When Billy destroys Grim's favorite childhood toy, Fancy Jake, Grim feels devastated and wishes he had never lost the limbo game that made him become Billy and Mandy's friend. Then, a lawyer appears saying that although the game is legally binding while all parties remain on Earth, it is not if Grim leaves Earth. In consequence, Grim follows the lawyer's advice, opens a portal, and leaves. Then, with Grim travelling aboard his spaceship, the lawyer takes off his disguise and introduces himself as Morg, the Martian Grim Reaper, who is also Emperor of Mars and commands an army of martian, brain-eating zombies. Then, so Grim can get the respect he deserves, Morg convinces Grim to conquer Earth, which they do easily while enslaving and turning all the people into zombies. Next for the reapers is to use the ultimate weapon in mind control, the Braincaster, which, if powered by a dumb mind, will allow them to control all the zombies forever. 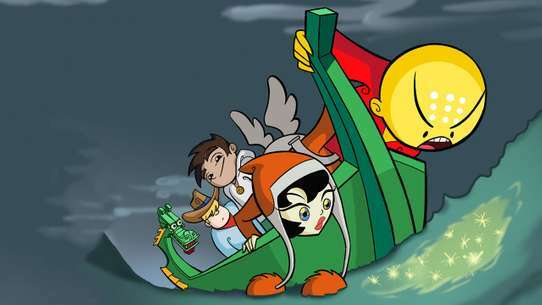 Meanwhile, Billy, Mandy and Irwin, who followed Grim to Mars hidden in his bottomless trunk, look for a way to save Earth. 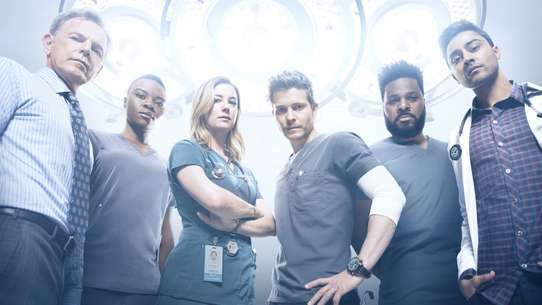 Then, when the kids are captured, and Billy is strapped to the Braincaster, all hope seems lost; however, at the last minute Billy talks to Grim about friendship, and Grim has a change of heart and decides to help Mandy. In the end, Billy's stupid brain overpowers the Braincaster, returning all the people to normal and foiling Morg's plan, who disappears into outer space. #9 - Dracula Must Die! 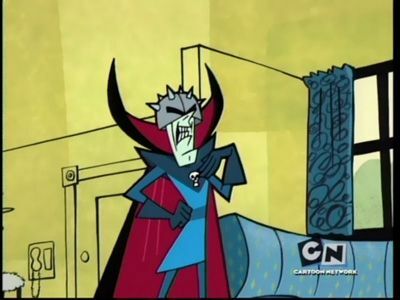 When vampire hunter Lionel Van Helsing prepares to kill Dracula, Billy, Mandy and Grim arrive to stop him, since, after all, Dracula is just senile and harmless. Then, Van Helsing reveals the source of his hatred: in the past, he and Dracula were "best friends forever", until Dracula used his irresistible dance moves to marry Tanya, the woman of his dreams. Later, Tanya arrives too, revealing that she is none other than Irwin's grandmother, making Irwin half-vampire on his father's side, and half-mummy on his mother's side. In the end, Van Helsing leaves, but Dracula is unsatisfied with his newfound family of nerds. 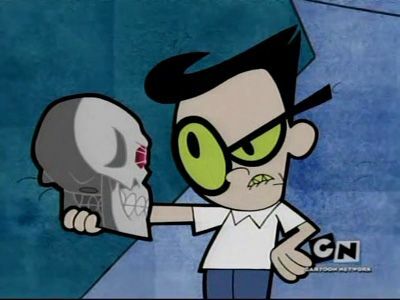 After Grim's robe comes out of the washing machine, Billy and Mandy find Thromnambular, a talking skull with ruby eyes and a number nine imprinted on his forehead. Then, Grim tells them that the skull is a magical artifact imprisoned on Earth that must grant his nine wishes in order to be free. 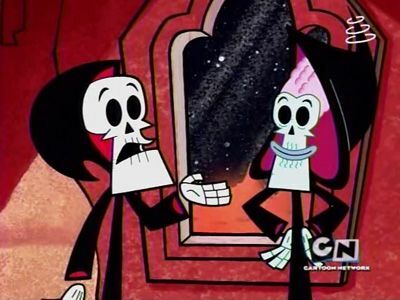 When Mandy asks Grim why he hasn't used any of the wishes, Grim tells her that the skull will corrupt the wishes and end up affecting the wisher. Despite this, Billy runs away with the skull and makes the first wish: (1) he wishes to be in an adventure (which parodies Indiana Jones and Jonny Quest), this backfires because Irwin is eaten, which Billy complains about getting him in trouble. After this, Thromnambular is found by different people who each make a wish: (2) Billy's dad wishes he could live again his High School years, but this backfires because he is not popular; (3) General Skarr wishes to rule on high, but this backfires because he asphyxiates in space; (4) Irwin (despite being eaten already in an earlier episode) wishes he was in a Hip-hop video, but backfires because he gets punched by Mandy; (5) Pud'n wishes he had a bunny, but he is attacked by it, because "Sometimes Love Hurts"; (6) Nergal Junior wastes his wish by wishing to know what to wish for; (7) Sperg wishes for a way to get into the girls restroom, in order to bully a girl into giving him a large sack of money, this backfires because he is turned into girl, and then insulted by the other girls for being ugly; (8) Mindy wishes to be a "big star", but this backfires when she is sent into space strapped to a rocket; (9) finally, Mandy tries to auction the last wish, but Grim gets ahead and wishes the kids never found the skull in the first place. 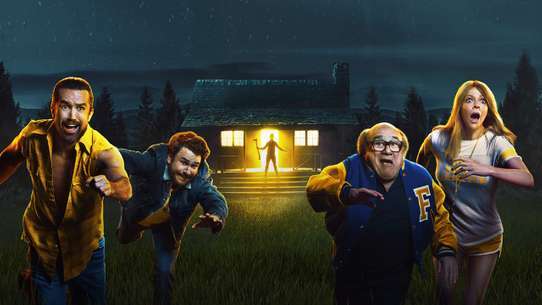 This then goes back to the beginning of the episode where Billy is staring at the washing machine, followed by Mandy pushing him into it. When Billy's dad drives Billy, Mandy and Grim to the hamburger restaurant, they somehow end up in Mexico. 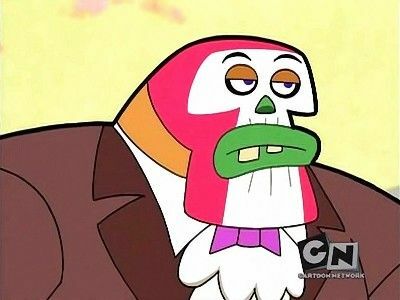 There, the people are celebrating Dia de los Muertos, but local kids say it may be the last celebration ever, because Del Uglio, a masked and ugly luchador, is set on stealing the "Golden Nose of Chipotle", a prehispanic relic on which the festivity is based. To get to the nose, Del Uglio has one half of the map, while the other half is held by his lost twin brother, who turns out to be Billy. In the end, Grim defeats Del Uglio, but it is Mandy who keeps the golden nose for herself, which makes her rich. While Billy was trying to dig his way to the Earth's core, he stumbles upon a frozen caveman. It's Fred Flintstone! Grim and Billy thawed him out of the ice. Grim wants to reap Fred's soul, but Billy wants to keep him as a friend. At school, he presented the caveman to the class. 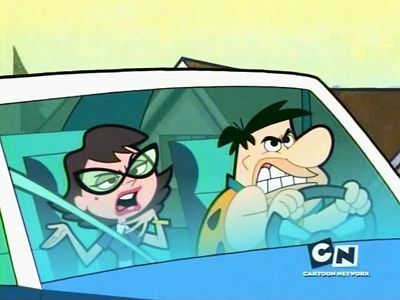 Then Fred goes crazy and kidnaps Mrs. Butterbean. 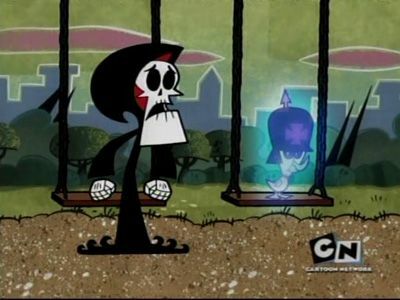 In a parody of the Harry Potter series, Grim sends Billy and Mandy to a sorcery school so the latter duo could avoid boring summer camps they were supposed to go to. 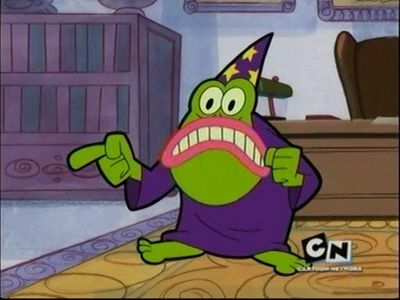 The sorcery school is owned by Dean Toadblatt, an anthropomorphic frog. 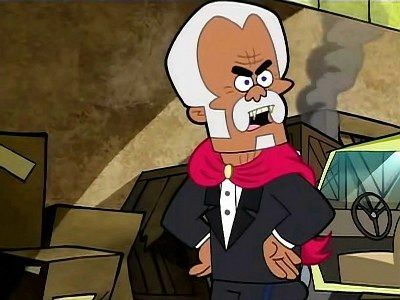 Billy and Mandy are sent to the most hated house on the school, Weaselthorpe, while Grim becomes a prefect for a more loved house, Gunderstank. 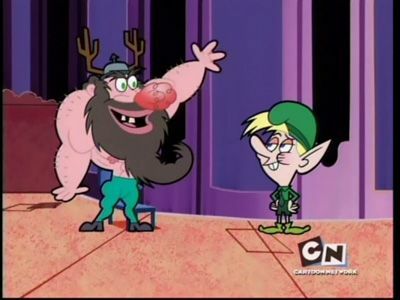 Billy and Mandy then team up with boy wizard Nigel Planter to sabotage Gunderstank. 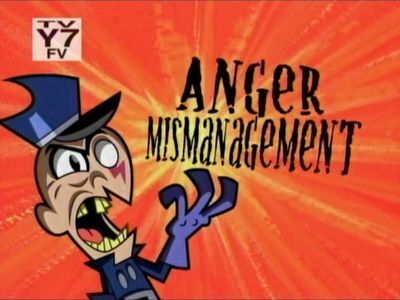 During the episode, Planter takes all the credit for the sabotage (which was Mandy's idea in the first place), but in the end, he is punished for it once he is "accidentally" found out by Toadblatt. Billy's dad has gotten a new job. Billy and his family are going to have to move to another part of town. However, he's always lived near to Mandy, and the two of them share the Grim Reaper. By Billy's relocating, this means that they have a problem. Who gets to "keep" Grim? Should Billy be the sole "owner" of Grim, and take him with him upon moving. Or should Grim be given to Mandy, and stay with her? To resolve this, both of them take their dispute to the Underworld Court, where a jury of hideous, nightmarish creatures (including one really annoying one) will decide once and for all who is truly the "Keeper of the Reaper." When Mandy says even a trained monkey is more competent to do cleaning chores than Grim, and would complain less, Grim makes Dickie Galoot, a monkey appearing in a Japanese-styled animation, come to life to prove her wrong. 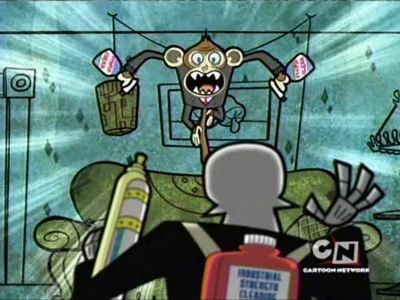 Then, as Dickie turns out to be extremely good at cleaning Mandy's house, Grim decides to leave the kids for good; however, due to his friendship contract, Grim is unable to break free, and so he is forced to battle Dickie to recover his place as the "cleaning monkey" of the group. In the end, Grim successfully defeats Dickie at cleaning Billy's house, but this all turns out to be an ingenious plan devised by Mandy to win a bet against Billy. The Crass Unicorn: There's trouble in the Enchanted Forest, and Billy finds a unicorn who is a real jerk. 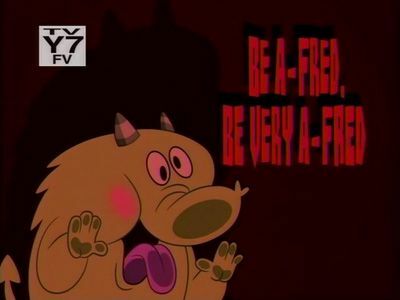 Billy & Mandy Begins: Billy, Mandy, and Grim each narrate a different version about how they met. After missing on a school trip, Grim takes Billy, Mandy and Irwin to the "Halls of Time" for a tour. There, Billy and Irwin mess the hourglasses that symbolize each person's lifespan. When they leave, they accidentally leave their own hourglasses, including Grim's, upside down, resulting in the group getting younger as time passes. In the end, Grim allows the kids to disappear by going before birth, but he can't restore his own hourglass to its correct position and he disappears too. When Billy is sent to bed after playing with his Dr. Brainiac action figure, he wishes he had an adventure. Then, he notices a strange light outside and wanders into a corn field to investigate; there, he encounters Sperg, and they are both abducted by aliens who experiment with them. 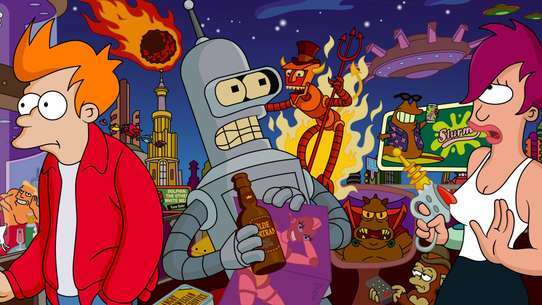 Later, when they return home, it is revealed that Sperg has a bomb implanted in his head, and also that there is a shortage of dairy products; Billy explains that the aliens are stealing Earth's dairy products because they are werewolf-like creatures who need cheese, and they have already mined all the cheese in the Moon. 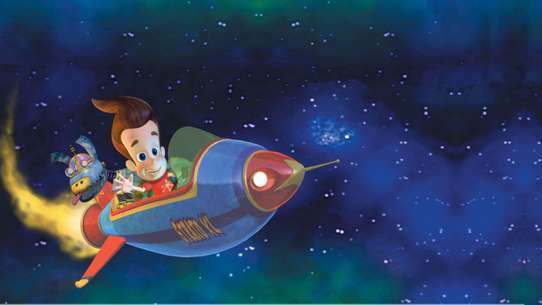 In the following, Billy's crazy story is confirmed when too many UFOs appear. Then, Billy says they must assemble a team of diary superheroes, the Green Squeaker (Billy), Milk Mandy, the Cheese Reaper, and Diary Boy (Sperg), to combat the aliens, but everybody is opposed to the idea. Later, the four of them have been captured and are sent to the Moon to be destroyed, but they escape and try to stop the Moon ship from getting to Earth. At that time, the Moon aliens start their transformation into werewolves, and they bite Billy, who becomes a werewolf too. 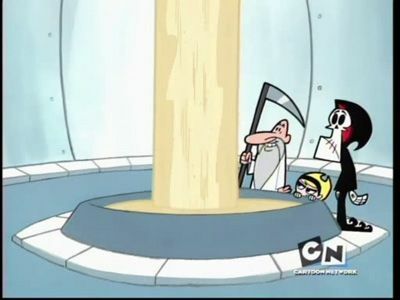 With their backs to the wall, Grim finally chooses to give Billy, Mandy and himself their dairy superpowers. Meanwhile, Sperg sacrifices himself by letting the bomb in his head explode in the control room, thus crashing the spaceship in the Moon and saving Earth. 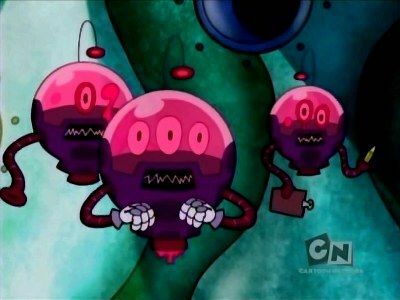 A final segment shows what happened to Billy, Mandy, Grim, Sperg, Dr. Brainiac, and even the Moon people, that remain attempting to destroy the humans by extracting their brains to steal their knowledge after they discussed and revealed their master plan to escape with Endsville's supply of cheese while showing images of the characters from the other shows in the the crossover Cartoon Network Invaded which meant that they were the masterminds behind the entire event.This was the fifth and final chapter of Cartoon Network Invaded which also concluded with an alternate ending on June 1. 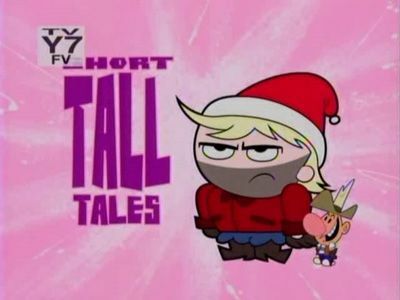 As Billy, Mandy, and Irwin need to write a school report on tall tales, Grim tells outrageous tall tales about Pecos Billy (based on Pecos Bill), Paula Bunyan (based on Paul Bunyan), and John Henry. 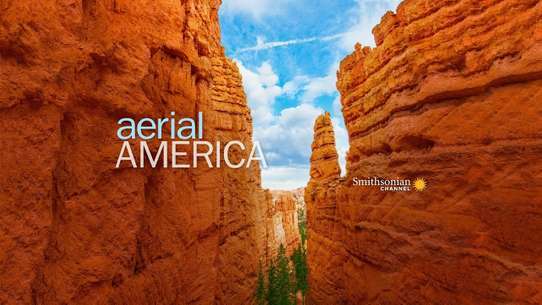 In Grim's stories, Pecos Billy (Billy) tames a twister using his personal laser-shooting cow-like spacecraft, saving an Arizona trailer park; Paula Bunyan (Mandy) uses her blue ox companion, Babe, to stomp over a villain, creating the Grand Canyon in the process; John Henry (Irwin) digs through a tunnel so fast that he breaks the laws of Physics and bursts into the "8th dimension". 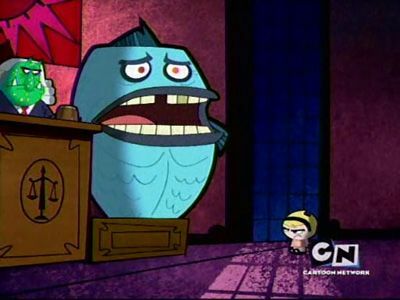 After Grim tells them the stories, Mandy informs Billy and Irwin that he is trying to get them F's. When a girl named Dora comes to Billy and Mandy's school, she and Mandy become instant friends. While watching Mindy and the cheerleaders, Dora tells Mandy that if she opens her lunchbox. 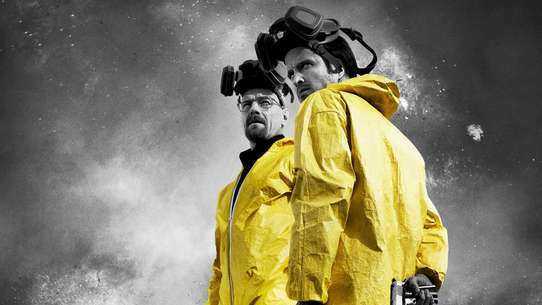 There's something that could destroy Mindy. 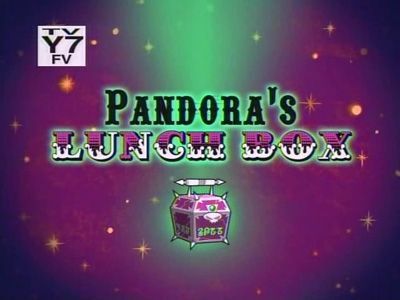 Since Mandy wants to destroy Mindy, she opens the lunchbox, unleashing evil demons shaped like food. 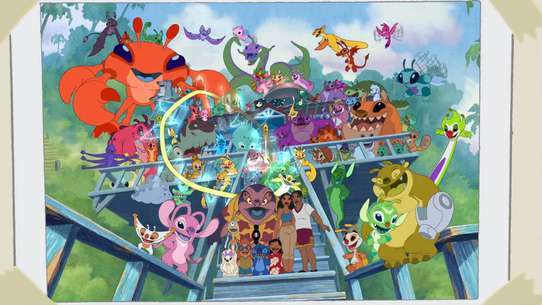 It turns out that Dora is actually Pandora, and she tricked Mandy into unleashing all of the demons. Mandy, angry that Dora tricked her, stops the end of the world by sucking the demons and Dora into the lunchbox. Skarr was doing a lot of gardening in order to win the "Good Neighbor Award". When he spotted a weed, Skarr tries to exterminate it. He called Grim for assistance. Then Billy comes and ruins Skarr's garden with the mower. Strange glowing tendrils wrap Skarr around and gave him the powers to bring plants to life. It's Halloween, and Billy, Mandy and Grim go trick-or-treating, while Irwin is left behind because he needs a scarier costume. After pulling a trick on an old lady, and getting some candies, Grim tells the story of why people pull pranks, which he was partially responsible for. He tells about Jack, a prankster of the old Endsville who just didn't know when to stop. 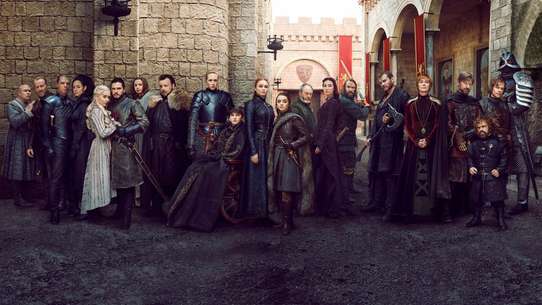 One day, the citizens decided to punish him for his constant pranks, and they pulled a prank on the queen, but signed it "From: Jack"; in consequence, the angry queen sent a knight to kill Jack. However, when Grim went for Jack's soul, Jack stole his scythe. In return for his scythe, Grim promised Jack eternal life, but after closing the deal, Grim cuts Jack's head off. 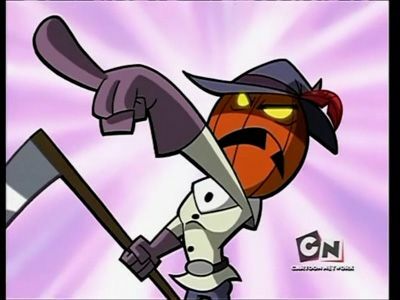 Thus, Jack decided to use a pumpkin for head, becoming Jack O'Lantern, and every Halloween he goes out to pull pranks on the citizens of Endsville. 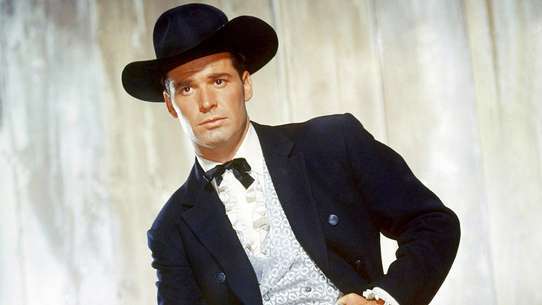 After hearing the story, Billy splits from the group and finds Jack's house downtown. Then, Jack realizes Billy is carrying the actual Reaper's scythe, so he takes it from him and uses it to open the gates of the Underworld and bring forth ghosts, which cause havoc in the city. Jack then plans to get revenge on Grim by cutting his head off which, being cut with the Reaper's scythe, will be cut permanently. 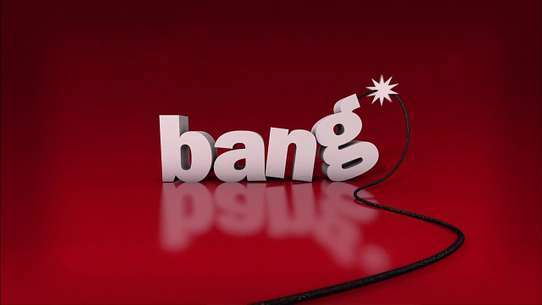 To stop Jack from carrying on with his vengeance, Mandy sets up a series of pranks for him. However, the pranks affect Irwin instead, causing major laughter from Jack and his ghouls, which explode and return to the Underworld. In the end, Grim recovers his scythe and sends Jack to the Underworld too. Lord Pain, a fearsome warrior from the Plain of Eternal Suffering, appears in Billy's house looking to serve his master, Grim. 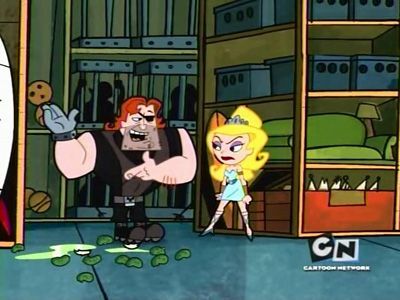 However, Lord Pain is put to clean the bathroom, and is confused as to why Billy and Mandy treat Grim the way they do. Eventually, Lord Pain realizes that Mandy is to be his real master, and prepares mashed potatoes for her. 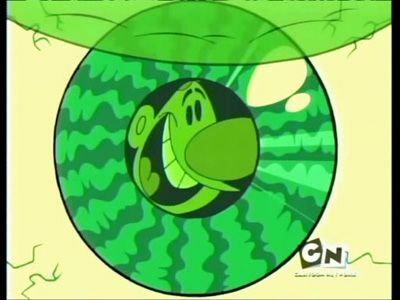 On a hot day when Billy, Mandy, and Irwin are bored, Grim uses a crystal ball to show them the future. In the distant future, Mandy has turned herself into a giant worm-like creature to be immortal, and now rules the whole world. 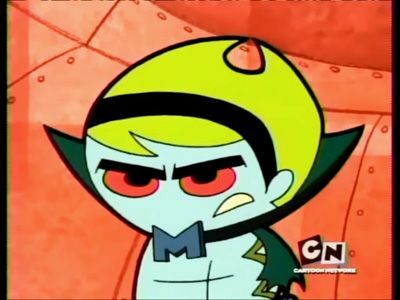 Mandy gives false information to a clone of Billy, in order to capture the members of a resistance that try to defeat her. 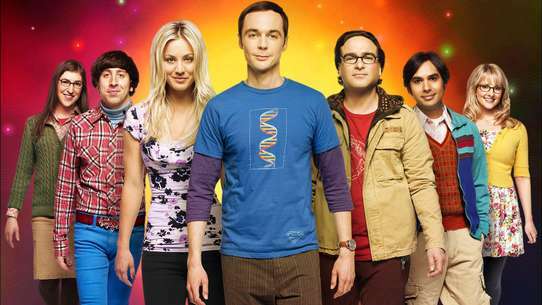 The episode parodies the science fiction novel God Emperor of Dune by Frank Herbert. 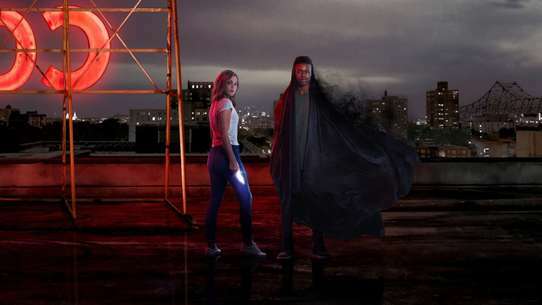 As Grim appears in an Underworld TV commercial for "Big Move" laxative pills, an accompanying contest promises a day with the famous Grim Reaper to the monster who writes the best 500-word-or-less essay describing the fun things they would do. It turns out the winner of the contest, and sole participant, is the dim-witted Fred Fredburger, who only wants to eat frozen yoghurt. Also, the Big Move company blames Grim for their sales going down since they hired him. In consequence, Grim tries save his reputation and make the best day for Fred, but it is a disaster with Grim ruining Fred's yoghurt and Fred going missing in an amusement park. 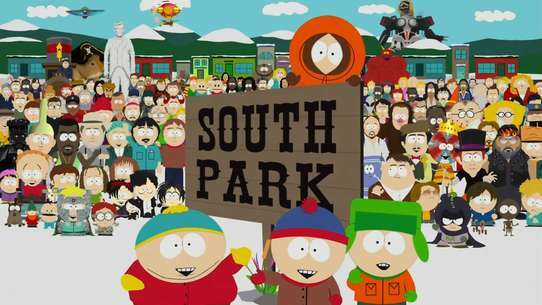 In the end, the Big Move executives give Grim a beating for ruining their company, and Fred finds his own paradise in a cold place with nachos- and frozen yoghurt-loving creatures.